Matt and his version of 'Gloomy Sunday' were recently profiled in an online feature for Papageno Magazine, a performing arts publication from Hungary. 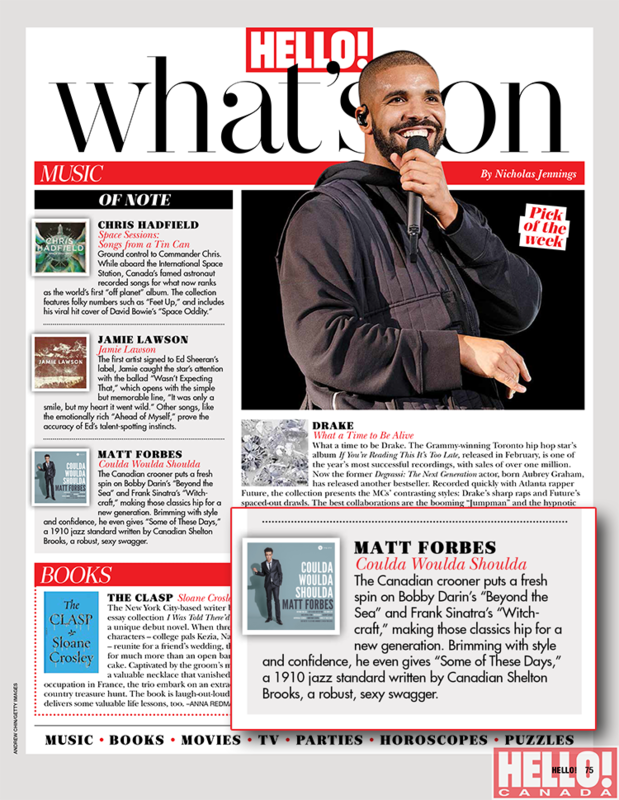 'Coulda Woulda Shoulda' was selected as an album of note by Nicholas Jennings in HELLO! Canada. Click above to enlarge review! Well here's one thing off the bucket list! While promoting 'Coulda Woulda Shoulda' in Canada, I was thrilled to discover that the album and I had made it into a national crossword puzzle...take a peek at the scan above!